The American Cancer Society Cancer Action Network hosted its fourth annual Cancer Research Breakfast Thursday at the Inova Center for Personalized Health Conference Center. The event featured cancer researchers from five of Virginia’s leading research institutions, discussing the latest breakthroughs in the battle against cancer. A panel discussion included Dr. Sanchita Bhatnagar, assistant professor biochemistry and biogenetics, University of Virginia, Dr. Kimberly Dunsmore, senior vice president and chair of pediatrics, Carilion Clinic, Jeffrey M. Gallagher, CEO, Virginia Bio, Dr. Steve Grossman, deputy director, Virginia Commonwealth University Massey Cancer Center, and Dr. Donald “Skip” L. Trump, CEO and executive director, Inova Schar Cancer Institute. This year, the American Cancer Society estimates that 42,420 people in Virginia will be diagnosed with cancer and 15,260 will die from the disease. More than 60 people attended the breakfast, including patients, physicians and public health advocates. The event was sponsored by Inova Schar Cancer Institute, Astellas, Bristol-Myers Squibb, Janssen, Merck, Novartis, Pfizer, Sanofi, Takeda, The University of Virginia, Virginia Beach Department of Economic Development, and Bank of America. 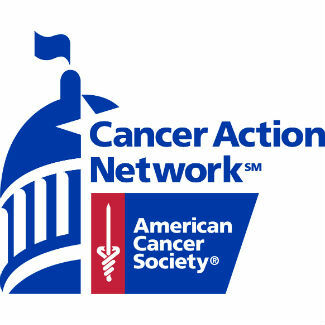 ACS CAN, the nonprofit, nonpartisan advocacy affiliate of the American Cancer Society, supports evidence-based policy and legislative solutions designed to eliminate cancer as a major health problem. ACS CAN works to encourage elected officials and candidates to make cancer a top national priority. ACS CAN gives ordinary people extraordinary power to fight cancer with the training and tools they need to make their voices heard. For more information, visit http://www.acscan.org/.